Having said that, most of this is still in stock. The Knockdhu is a solid choice at the younger end. At the top end, the Glentauchers is phenomenal. 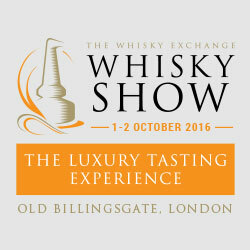 Unfortunately the “holy trinity” – Mortlach, Glen Keith and Caol Ila – sold out immediately. These are all excellent and apart from the tasting sample I had, I went in on a bottle share of these three organised by Whisky Rover which I have been enjoying. Of the three, the Mortlach is almost finished and the Caol Ila and Glen Keith are near the top. Everyone loves the Small Batch – the square bottles are cooler (and pack even more efficiently than hexagonal close packing) and the vatting of more than one cask often makes for a better rounded whisky. Nose - Boiled sweets and a little bit of petrol, lovely orchard fruit though - green apple and red apple skin. Honest cask here, good balance of vigour, wood and spirit, with warm white wine and window putty. Hot radiator and more clay with water. Body - Balanced and savoury, like warm sake or tequila. Toffee, wood, white toast. Pouring cream with water. Finish - Short and clean, light sawdust and fizzing sweets at the side of the tongue. A lot longer with water. A clean, honest drinker. I'd happily do damage to a bottle of this with friends over an evening. Nose - At first this has a sweet, cereal funk I would have associated with young sherry casks. But that then softens and deepens into something more fruity, chocolatey and interesting. I'm weirdly reminded of Douglas Laing's Scallywag - hershey's chocolate and curly wurlys. But there's a cut oak cask thing behind that, and a lot more fruit with water. Body - Rich, complex and very fruity, with sweetshop and sulphur, this is remarkable for 10. Vanilla cream, purple icing and dried raspberries. Absolutely delicious with water. Finish - Long with cherry chocolate brownies and bounty bars at the end. Really classy tannins with water. This is a fantastic whisky, my concerns on the nose disappeared entirely with time and water. Highly recommended. Nose - Deep with the fruit toffee (in shiny blue wrappers), this has thick cream, cigar tobacco, foundation and a tan leather jacket. Complex and grown-up. Fresher with water, and a little more cask. Body - Continues in that vein, quite savoury but with dark chocolate and coffee. Water unsettles it. Finish - Long and drying, with unripe pear, sawdust and flashes of fruit. Descends into bitter, fizzing wood at the end. There's something perfume-y here too, like rose and patchouli. An interesting diversion, but not interesting enough to stand out in this crowd. Body - The same as the nose, this promises so much but doesn't quite get there. Even retronasally it has echoes of great things. I just think the ABV is criminally low here. Despite personally crying out for drinking strength whisky a lot of the time, this one is a crime. Just because it could have been so amazing. Nose - Chocolate and leather and oddly similar to the Knockdhu. Red fruit and icing, but waxier and more polished. Body - Spicy at first, but rich and tannic. Cherry chocolate, a touch of sulphur. Finish - Very long, fruity and lovely wax. The cherry and chocolate is almost infinite. An absolutely delicious whisky (and a phenomenal nose in particular), but I would rather buy the Knockdhu. Nose - Big, deep and polished. Ripe, red fruit, strawberry laces, fruit toffee and very old cask. Really robust, chocolatey and waxy with water. Body - Rich, ripe and highly waxed. Elements of stir fry. Weirdly reminiscent of Springbank 15, but a lot older. Quite Japanese with water. Finish - Flashes of chocolate and coffee, but big old cask otherwise. Burnt engine oil and grapefruit zest at the end. Extremely drying. Utterly divine. One of the most obviously amazing whiskies I've had this year. Highly recommended. I put in the extra single quote in the score just to amuse you (and to show it’s a little bit better than the Glentauchers). Nose - Elegant old bourbon cask here, really classy. Balancing fruit, coffee, cigar boxes and deodorant this is a complex and well-constructed nose. Body - But the delivery is heavenly. Passionfruit and cream, white Burgundy and proper old wax and tannins, this is a phenomenal delivery. The wind's knocked out of its sails with water though, the wood's unbalanced. Finish - Long and slightly spicy, numbing wood oils balance the fruit toffee. Yeah this is as good as you thought it was going to be (i.e. very). I wish I'd done this before the fireworks of the Blair Athol though. And of course there is a limit to how much whisky I can buy. Nose - Big, deep, minty and waxed. Darkly tropical, with old, blacken vanish, whipped cream and white gloss paint. Very, very confident, robust but somehow elegant. More minty with water, but the nose now makes me think of very, very expensive OBs in wooden boxes. Body - Surprisingly bright with the old wood (almost over-wooded), lots of mint toffee (almost after eights) with blood orange wax and juice at the back end of the delivery. Finish - Long and rich, with more orange wax and linseed oil. It's cigar tar after a while in the finish. This is a big, well-aged whisky that's a real pleasure to drink. Ed says it isn't very Mortlach. I'm no expert in that but it reminds me pretty well of the recent old Mortlach's I've loved from Cadenheads, only it's got more wood on it. Phenomenal with a drop of water, this is a real pleasure. Nose - Old, broken furniture (dusty, school stuff, as well as the antique type), candied peel and plenty of library. And tropical fruit - you can go either way here too, kia-ora or crazy US hops. This also has the fruit and dank balance like the best 70s gear usually does. Beautiful. Finish - Medium, enormous fruit and wood. More liquorice. Big, old and blustering. This is verging on over the hill, but the fruit and tannins save it - caught just in time I'd say. The nose is out of this world though. Nose - Alien and dreamy as ever, with contrasting complexity; fizzers, gastrique, new magazine, reduced red wine glaze and old calvados. Some petrol with time, more orchard fruit and cask with water. Body - Green apple, mezcal, refreshers on the tip of the tongue and tickling tannins at the base. Very satisfying. Softer and weaker with water. Finish - Sweet, dusty and hot cinnamon, there's something else warm and sweet at the back here, like Vimto and cocoa powder. This definitely retains more peat than some of the old Caol Ilas I've had. Another cracker. They always are. I think I have more Caol Ila than any other distillery apart from Springbank, and a significant proportion of that is Cadenheads over 30. Finally, here’s a couple of bonus drams. The latest “protest” bottle (always a cheaper blend), the Spirit of Freedom 62. This time it represents the 62% of Scottish people who voted to stay in the EU, and contains whisky from 62 distilleries. Then the Cadenhead’s Islay 9 year old, which is another no-name cask of whisky, following the excellent 7 year old. Nose - Sweet, clean and grainy - very young, with a touch of chocolate and cask, this smells like a distillery. It couldn't be more "honest". A little candle wax with time. Body - So light it's practically not there, this is basically new make grain spirit with a little apple and plenty of oils. Finish - It evaporates cleanly, like a low strength vodka does. Not an awful lot to report here, this is perfectly fine to drink but not something to concentrate on! Nose - Sweet and bright, chipsticks and acrylic paint, modelling putty, coffee beans. Cloudy cider. Bright and clean, it initially smelled like a Diageo SR 12 year old Lagavulin but my suspicion is that it's more likely Bunnahbhain pulled before its regulation bottling age of 10. Move vinegar with water, but also diesel engine. Body - Spicy and sweet, plenty of gunpowder/iron filings against that rather meaty, cereal peat. Fruitier with water, slightly musky. Finish - Medium, barley sugar and crunchy brown sugar on crumble. Very sweet. Pure apple juice at the end. A superb young Islay - meaty, peated, fresh and cereal led with lots of complexity. Next month brings some interesting casks from the Authentic Collection, including a Bladnoch that’s not 25 (it’s 26), a 31 year old sherry Glen Grant, a Glenfarclas 28, a young, sherried Ledaig and a 38 year old Miltonduff. And a 31 year old from the Potter’s distillery in Canada. I am just wondering about the Cadenheads and SMWS Glentauchers. I have tried the SMWS and as you wrote was loving the "blustering old scotch/mango" vibe. I have not tried the Cadenheads release, does it have a tropical fruit edge to it too? Tropical fruits is really what I am on the look out for. You're referring to SMWS 63.36, Glentauchers, A Caribbean dream I think. Not in the same blustering ballpark I'm afraid. It's more straight-laced than the 63 although probably better balanced. It's a great buy, surprised it's still available, overshadowed by that glorious Blair Athol though. You'd enjoy it but it isn't the tropical insanity you're looking for. Thanks for writing back, it sure was 63.36 I was talking about. I had a sample of the Cadenheads release yesterday whilst picking up my bottle of Blair Athol. It was so balanced and mature it felt almost boring in its perfection to be honest. I didn't have time to really get in to the whisky but the lime and syrupy backbone has stuck with me. Going to be a hard decision.